With more Japanese snack brands such as Tokyo Milk Cheese Factory and Maple Mania setting up franchises in Singapore, it might seem more difficult to get omiyage (snacks commonly given as souvenirs) from Japan now. So here’s some of the many types of omiyage that you can buy or you can ask for when someone offers to buy you something from Japan! New York Perfect Cheese opened in March 2017 and is quite a popular snack shop in Tokyo. 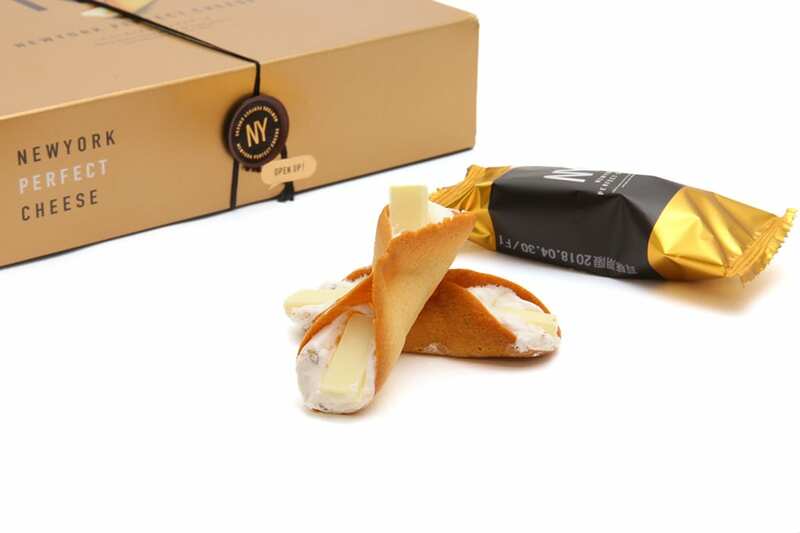 Their main item is langue de chat cookie made with Gouda cheese which wraps cheddar cheese and white chocolate. They have other items such as maple cheese which is cheesecake made with maple syrup and mascarpone cheese. Opened by the same people behind Bake Cheese Tart, Press Butter Sand sells cookies that have butter cream and caramel sandwiched between shortbread (which explains the name because sand is sandwich in short form). There’s always a queue outside the shop and you’re given a queue number before every fresh batch comes out! NY Caramel Sand is caramel and couverture chocolate (high quality chocolate with a higher percentage of cocoa butter) sandwiched in between 2 cookies. This is how the snack got its name as well, as sand is the short form of sandwich. They sell 2 other snacks, which are variations of the caramel sand with almond bits and dark chocolate added to it. 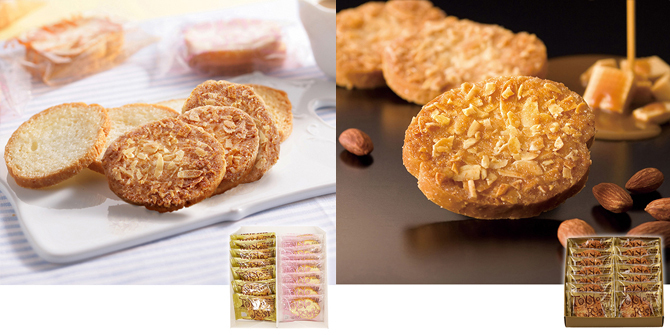 Tokyo Rusk is famous for their almond rusk which is crisp and fragrant with almond bits on it. Apart from their almond rusk, they have seasonal flavours available as well. I found out about this through my Bokksu subscription and this was in this month's box! The butter was super fragrant and this is one of the better senbeis I have eaten. Also, this shop has their senbeis hand-baked too! This is available on the Bokksu marketplace if you can't wait for the next trip to Japan! Being a fan of milk tea, I had to get this royal milk tea flavoured langue de chat by Konditorei Kobe. The royal milk tea flavour was light and well complemented by the white chocolate in the langue de chat as well. I had chanced upon this apple tea roll cake while I was in Itami Airport and was so glad I bought one. The sponge in this roll cake was fluffy, the cream was light and the flavour of the apple tea was nicely infused in the sponge. This snack has a fragrant maple flavour when combined with white chocolate sandwiched in between 2 cookies. This is one of the best sellers in Kobe Sannomiya station according to the staff who gave me a sample at Itami Airport. Kyoto’s local specialties are tea and soy bean. The kyo baum is a combination of Kyoto’s specialties and baumkuchen (German layered cake). 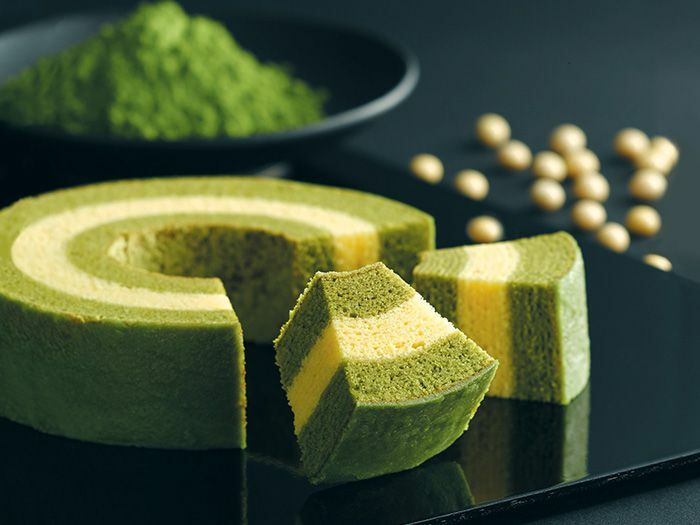 Hence, this is great omiyage to bring back because this cake is made up of matcha and soy bean layers. They have the sable (shortbread cookie) and chocolate versions as well if you would like something individually packed and with a longer shelf life. Mentaiko is Fukuoka’s local specialty but it has a short shelf life and has to be kept refrigerated. 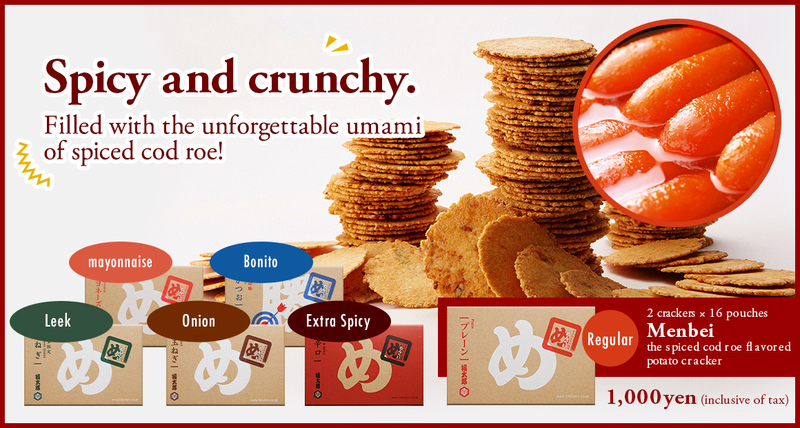 A good alternative to mentaiko is getting menbei, mentaiko flavoured senbei (rice cracker), which has a longer shelf life than mentaiko and is one of the most popular souvenirs in Hakata station. Apart from Fukutaro shops, menbei can be found in omiyage shops in Fukuoka as well. Price: 1,000 yen for 32 crackers. Tsukushi mochi is mochi with kinako eaten with brown sugar syrup. The flavours of kinako and brown sugar complement each other very well and you’ll like this if you like kinako or brown sugar (or both). Miyazaki is famous for mangoes and a way to bring it back for others is to bring back mango products. 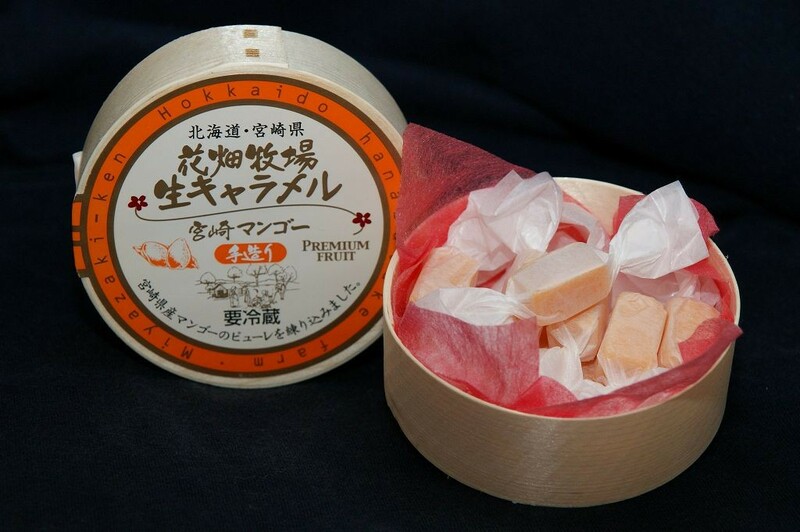 Hibiki doesn’t just sell mango caramel, it also sells sweets that are Hyuganatsu (a citrus fruit similar to yuzu) flavoured. 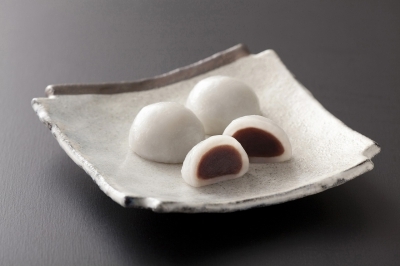 Shiratama manju are also known as white ball rice buns and they are made with Saga’s premium rice powder. They tend to be slightly sweet as they are filled with red bean paste. Shiratama Manju is a specialty of Kawakamikyo Gorge specifically. Famous for their double fromage cheesecake, LeTAO also has good snacks that can be bought as omiyage too. The strawberries are freeze dried and then dipped in white chocolate. For someone who doesn’t eat white chocolate, I really liked this because the freeze dried strawberry’s flavour complemented the white chocolate and it wasn’t too sweet too. The dark chocolate langue de chat is fragrant with a rich flavour of dark chocolate from the chocolate cream sandwiched between 2 chocolate cookies. Okinawa is famous for their sweet potato, ishigaki salt and brown sugar. I tended to buy the usual snacks just that in those flavours and didn’t buy much of the usual omiyage such as the sweet potato tart etc. Orion beer nuts are also famous here because Orion beer is from Okinawa so it’s worth a try if you’re interested! Hi-Chew is available in pineapple, mango and shikuwasa (local citrus fruits) flavours in Okinawa and these are the fruits Okinawa is famous for too. This baumkuchen shop sells baumkuchen that is light in texture that is fragrant too. The flavours of their baumkuchen are Okinawan specialties such as beni imo (sweet potato), soy milk, brown sugar and honey. It’s a nice gift to bring back for others and they sell the baumkuchen pieces in packs if you don’t want to buy the whole cake too. Calbee+ sells special flavoured chips that differ according to area and/or prefecture. Snacks tend to be sold in boxes of 8-10 packs and they are easy to buy and give out too! You can buy fresh potato chips when you visit the shop too! If you have friends who are huge fans of Calbee, they sell area-specific merchandise as well. If you’re a fan of different flavoured Kit Kat at a higher quality, Kit Kat Chocolatory is the place to go for souvenirs. They have special flavours such as matcha and kinako (roasted soybean powder), strawberry maple and butter flavoured chocolate. They also have the Sublime series which is couverture chocolate in various flavours as well. More interesting flavours include the Moleson series which consists of Kit Kat bars with a layer of chocolate, fruit and nuts on top of them.